For the weekend of February 1st, 2019, the city of Atlanta was the proud host of a championship that would go down in history. And no, we’re not talking about Super Bowl LIII. Sixty-one years ago, the LEGO® brick—classic that it is for every childhood in America–was born. And nearly twenty years ago, almost to this day, the first annual FIRST® LEGO®League competition opened its doors to its earliest contestants, combining the genius of FIRST® (the renowned STEM organization for youth) with the playfulness of the LEGO® Group. And our childhoods were forever changed. Every year, youth groups between ages six to eighteen compete in a battle of wit, innovation and ingenuity. It is safe to say that LEGO®’s aren’t just toys anymore, thanks in large part to founder Dean Kamen of the FIRST® LEGO® League, who had the genius idea to combine current robotics challenges with K-12 students’ ability to flex their engineering, programming and coding mental muscles to solve real-world STEM problems. The creativity lies inside the minds of students, in this case. (Not pull-string, stuffed cowboys). And this past weekend, IronCAD was fortunate enough to be part of FLL’s festivities, awarding a FIRST® LEGO® League Mechanical Design award to one lucky team in the 9-14 aged bracket for the “Into Orbit” State Finals that took place at Georgia Tech. 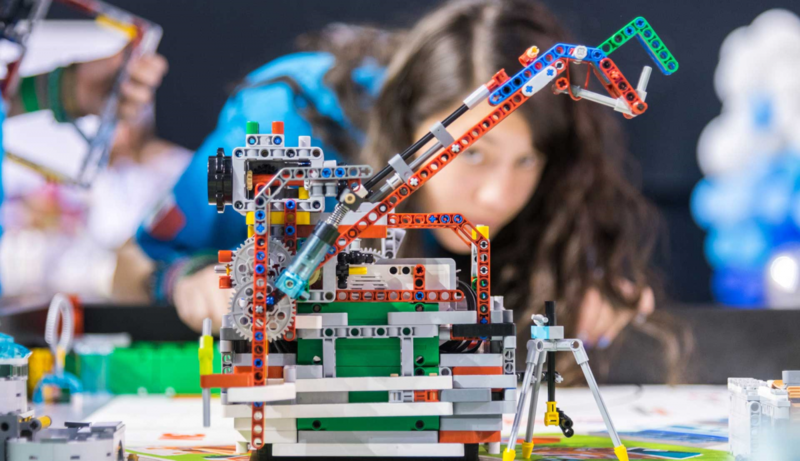 As much as we love our LEGO®s, we love working with STEM students even more. If our dedication to improving the world of 3D CAD design is anything like the commitment of FLL students to science and technology excellence, we’d have to say: We’re in pretty good shape. Whether our engineers are helping students build animated robots from LEGOs or avoiding stepping on those familiar colorful bricks, IronCAD and Atlanta are proud to be part of a winning League—the FIRST® LEGO® League, that is. And for those looking to join us next year, make sure you sign up to join the League at http://info.firstinspires.org/first-launch-2019. We can’t wait to see what 2019 has in store.